Due to an aging population in the U.S. and legislative reform that granted insurance to millions of uninsured citizens, employees in the healthcare administration field are in exceptionally high demand. The Bureau of Labor Statistics reports that employment in this field is projected to grow 17% in the next decade, much faster than rates in other fields. If you’d like to begin a career in this exciting and fast-growing industry, a bachelor’s in healthcare administration is a terrific first step. The following considers important questions you may consider before pursuing a healthcare administration degree online. Read on for more information about courses you can expect to take in these programs, and your career prospects upon graduation. What Are the Best Online Bachelor’s in Healthcare Administration Programs? Distance learners at Nebraska Methodist College (NMU) choose from five concentrations in the online healthcare administration degree program. This private college’s bachelor’s program in health management offers majors in leadership, education, administration, community health, and interdisciplinary studies. Students may also opt for minors in healthcare sign language or Spanish for healthcare professionals. NMU delivers its four-year program in a mix of online courses and traditional classes on its Omaha campus. Students may begin the program in August or January and submit applications year-round. Because the college designed the program’s curriculum to dovetail with the college’s MBA in healthcare program, graduates interested in a master’s degree are well-positioned to continue their studies. The University of St. Francis offers aspiring healthcare leaders an online health administration degree completion program. Ideal for working allied health professionals or medical support staff, USF’s bachelor’s in healthcare leadership builds on prior college coursework to prepare graduates for mid-level management roles in the industry. USF’s curriculum begins with 12 credits of required liberal education courses. The program’s core consists of 29 credits in upper-level courses that examine the nuts and bolts of healthcare organizations. Degree candidates explore organizational behavior, management theory, information management, and healthcare finance. USF delivers all online classes in seven-week blocks, and courses are taught asynchronously. Applicants must demonstrate at least 64 credits of prior work. USF is transfer-friendly, awarding generous prior learning assessments and accepting up to 80 credits. Business-minded students seeking leadership roles in healthcare may find Regis University’s healthcare administration degree online to be a great fit. This private Jesuit college offers a four-year bachelor’s program completely online with asynchronous study. The program’s core curriculum emphasizes essential administrative functions within all healthcare organizations, including quality assessment, project management, and health services reimbursement. Core classes also address issues that affect the industry as a whole, such as health care policy, health care law, and the evolution of healthcare delivery systems. The program concludes with a capstone project at an existing organization. While all classes are online, distance learners conduct a 120-hour internship at an approved facility prior to graduation. Regis delivers online classes in eight-week blocks, and students may begin courses on six dates throughout the year. The University of Central Florida offers an upper-division online healthcare administration degree. UCF’s bachelor’s in health services administration is a four-year program that prepares graduates for entry-level management positions in healthcare. The core curriculum explores the industry through the lens of business and finance. Degree candidates gain an understanding of the healthcare delivery system in the U.S., examine the roles of administrative managers, and develop leadership skills. All students must complete an internship of at least 120 hours at an approved facility; the internship includes the development and execution of an original project in the workplace. It’s important to note that lower-division prerequisite courses are not offered online, and must be taken on campus or transferred from another accredited university. Certified allied health professionals aspiring to management roles can complete a healthcare administration degree online at UVA. Employed students who hold national credentials in respiratory therapy, physical therapy, medical sonography, or radiography meet the eligibility requirements for this part-time program. UVA offers its bachelor’s in health science management mostly online, with a handful of on-campus requirements in Charlottesville. Distance learners should expect a mix of synchronous and asynchronous teaching styles. The 33-hour upper-division curriculum primarily emphasizes business competencies, while other courses examine the U.S. healthcare delivery system. All students design and execute an original capstone project in conjunction with an internship at an approved healthcare organization. Most degree candidates complete the program in about three years. Saint Joseph’s College offers a uniquely customizable online health administration degree to healthcare workers seeking career advancement. The curriculum consists of general education classes, a 21-hour health administration core, 18 hours of core electives, and 47 hours of free-choice courses across the entire catalog. Within the bachelor’s of health administration core, students master the business and management knowledge required of leaders in the industry. Core electives focus on skills development, offering topics such as emergency preparedness and medical terminology. SJU extends considerable benefits to distance learners, including a generous transfer policy, prior learning assessments, military-friendly status, wholly asynchronous study, and a self-directed learning option. The college’s bachelor’s in healthcare administration may also be tied into a Fast Track to MHA program. Drexel University designed their online health administration degree completion program for working professionals. Targeted to students aspiring to careers in healthcare management, the bachelor’s in health services administration is a part-time distance learning program. Degree candidates build on prior college experience to complete Drexel’s general education requirements. In upper-division courses, the health services administration core approaches the healthcare industry through the lens of business and finance. Course topics include organizational behavior, healthcare marketing, healthcare human resources, and healthcare systems administration. Because Drexel offers this bachelor’s in healthcare administration wholly online, the degree does not require an internship. Drexel makes every effort to support distance learners; it is transfer-friendly, military-friendly, and offers credit for prior learning experience. At ECU, aspiring healthcare industry leaders can complete a bachelor’s in healthcare management online. Designed for students with previously completed lower-level foundational degree requirements, ECU’s online healthcare administration degree delivers comprehensive preparation for supervisory roles in healthcare management. ECU’s thorough core curriculum delves into the responsibilities of a healthcare manager, exploring information management, practice management, human resources, and healthcare finance. Other courses emphasize leadership training and business skills. Degree candidates may also customize their studies through concentrations in either health services management or allied health management. There is no internship requirement. Misericordia has designed a healthcare administration degree online to be completed on either a traditional or accelerated timeline. This private college’s bachelor’s in healthcare management is ideal for working allied healthcare practitioners or other healthcare professionals seeking career mobility. The program’s four-year curriculum is grounded in business concepts, exploring the applications of management science, accounting and finance, and human resources in the healthcare industry. An optional marketing specialization track includes coursework on distribution channels, internet marketing, and healthcare provider and consumer perspectives. There is no internship requirement. Students with prior college credits may complete the program in two-and-a-half years through Misericordia’s Expressway Accelerated Degree Program. The college is transfer-friendly, and grants prior learning experience credits. Midway’s online healthcare administration degree program prepares graduates for leadership roles in large and small healthcare organizations. Participants in this 120 credit degree benefit from the program’s membership in the Association of University Programs in Health Administration. The program’s core combines fundamental business concepts with an examination of a healthcare manager’s responsibilities. Course topics include care delivery systems, information management, human resources, and healthcare policy. At the conclusion of the program, students complete and present a capstone project. Distance learners complete all degree requirements online; there is no internship requirement. Midway offers online courses in 8-week sessions that begin on five dates throughout the year. The university offers generous prior learning experience credits, and is military-friendly. Aspiring healthcare industry leaders seeking a Christian education may consider Concordia’s online healthcare administration degree. This private Lutheran school offers a four-year bachelor’s in healthcare management that is accredited by the International Assembly for Collegiate Business Education. In the program’s upper-division core, students develop managerial skills while exploring the business and financial aspects of the healthcare industry. Course topics include ethics and law, human resources, strategic planning, and healthcare finance. At the conclusion of the program, all degree candidates complete a 60-hour practicum in a healthcare setting, plus a research paper detailing their experience. Distance learners take classes in sessions of eight to ten weeks and study asynchronously. Students interested in a Christian healthcare administration online degree program may find that King is a suitable option. The private Presbyterian college offers a bachelor’s in healthcare administration program for aspiring healthcare managers who have completed at least 45 hours of collegiate study. Distance learners meet this requirement through the university’s general education pathway program, or transfer credits from another accredited school. Ideal for working healthcare professionals, this online degree completion program equips graduates for entry-level supervisory roles. Through core coursework, students develop the business expertise required of managers in their field. There is no internship requirement, and motivated students can complete the core curriculum in 16 months. King welcomes distance learners; it is a military-friendly school and grants considerable prior learning experience credits. DBU’s online bachelor’s in healthcare management is a four-year program completed entirely through distance education. Students with prior college credits may also transfer to DBU and complete the online health administration degree. The program begins with general education courses and prerequisites in natural sciences, social sciences, and theology. The 30-hour core curriculum explores the business aspect of the healthcare industry as while emphasizing management skills. Course topics include organizational theory, healthcare finance, and healthcare ethics. All students participate in two field-based service learning experiences in conjunction with required core classes. DBU is a military-friendly school and grants elective credits for some prior military training. Other students may qualify for elective credits through prior learning experiences. BYUI targets its healthcare administration degree online to students seeking entry-level management positions at smaller healthcare organizations. This bachelor’s in healthcare administration is a four-year online program. After general education requirements, students prepare for the program core with a series of fundamental business courses and introductory prerequisites. The 26 credit core explores the job functions of a healthcare organization manager. In these classes, students develop marketable skills in project management, healthcare finance, technology management, and the insurance industry. All students conduct a one-semester internship at an approved healthcare facility during their final two years of school. Distance learners at BYUI must have completed 15 hours of prior study prior to admission to online degree programs. OIT designed an online healthcare administration degree for credentialed allied health professionals or radiologic technologists. The bachelor’s in healthcare management degree completion program increases career mobility and earnings for experienced professionals. Applicants must hold either licensure in an allied health field or American Registry of Radiologic Technologists (ARRT) certification. Allied health professionals are granted 44 hours toward the degree and follow a clinical track. The clinical track core curriculum features 74 credits of coursework that develops managerial skills required of clinical supervisors. ARRT members are granted 89 credits, and follow a radiologic science track. Because ARRT members lack fewer credits than their allied health peers, their program core consists of only 59 credits. Students in either track are complete an internship and senior project. Aspiring healthcare industry leaders with an associate degree or its equivalent can complete Gardner-Webb’s online bachelor’s in healthcare management in two years of full-time study. This private Baptist school offers an asynchronous online program that prepares graduates for entry-level supervisory positions in healthcare organizations. Degree candidates complete a series of multidisciplinary courses in business and finance. The program augments this foundation with 21 credits of instruction that emphasize real-world applications of business concepts in the healthcare industry. Students in this online health administration degree program conduct an internship for class credit, but it is not required for completion. G-W is a military-friendly school; civilian students also benefit from its generous transfer and prior learning experience policies. Distance learners aspiring to leadership roles within the healthcare industry can earn a bachelor’s in health administration degree exclusively online at Belhaven. 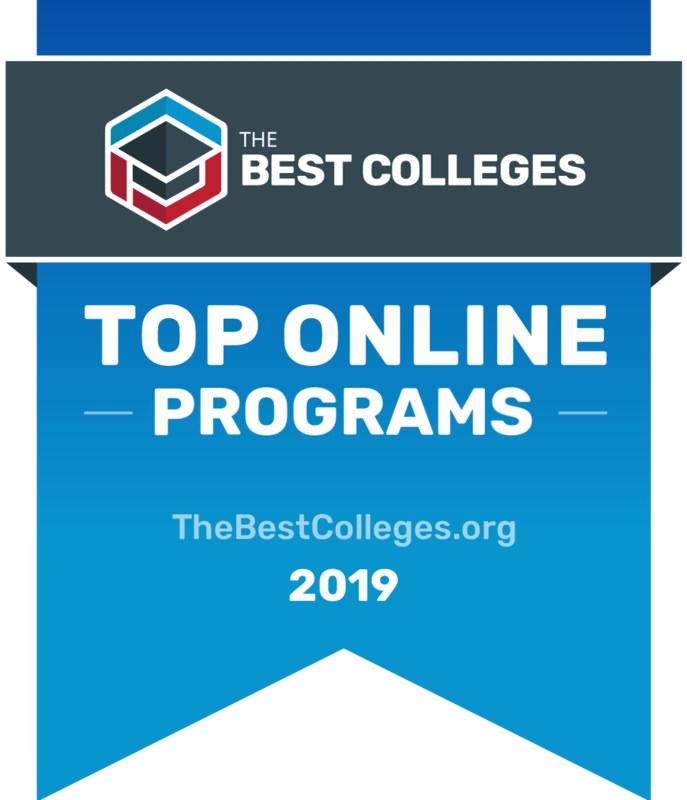 The private Christian college offers a traditional baccalaureate program that can be completed in less than four years, thanks to an accelerated online delivery format. All degree candidates meet general education and theological prerequisite requirements, followed by a 45 credit upper-division program core. This core curriculum explores the managerial skills and the business functions that drive a healthcare organization. Course topics include organizational theory, healthcare quality control, operations management, and healthcare finance. This bachelor’s in healthcare administration program does not require an internship. Online students may qualify for prior learning experience credits. Belhaven is also a military-friendly school. Northwood University is dedicated to educating future business leaders, and is regularly recognized for academic excellence. Boasting accreditation by the Accreditation Council for Business Schools and Programs, Northwood’s bachelor’s in healthcare management is grounded in business operations, organizational behavior, and management theory. Students may also opt to minor in operations and supply chain management. Degree candidates complete the four-year course curriculum with asynchronous online study. In addition to online coursework, distance learners complete two 400-hour paid internships in an approved healthcare administration environment. Northwood offers significant incentives to nontraditional students, including prior learning assessments, military-friendly status, and institutional scholarships. Students with work experience in the healthcare industry and those with an associate degree in healthcare fields are well-suited for Viterbo’s healthcare administration degree online. This private Catholic school offers a bachelor’s in healthcare management degree completion program emphasizing healthcare finance, informatics, and quality improvement. The upper-division curriculum consists of theology and natural sciences prerequisites, followed by the program core. This program is accredited by the Accreditation Council for Business Schools and Programs. Graduates meet requirements for the Wisconsin state nursing home administrator licensure. Distance learners take classes in eight-week sessions that begin three times per year. Viterbo accepts up to 70 credits from other accredited schools and offers prior learning assessments. Healthcare professionals with associate degrees can enhance their career mobility with an exclusively online healthcare administration degree from Pfeiffer. The private Methodist college offers a bachelor’s in health administration degree completion program which leads to professional credentialing. The 39 credit program core focuses on business and management applications in the healthcare industry. Students explore topics in healthcare strategic planning, health policy economics, and operations management. Degree candidates customize their studies with 48 credit concentrations in long-term care management, medical practice management, or health informatics management. Each concentration qualifies its graduates for professional certification or licensure in the area of study. Pfeiffer delivers its online courses in eight-week sessions, and students learn asynchronously. Many non-traditional students qualify for credits in lieu of previous learning experiences. Because the healthcare industry is as much about people as it is business, CCU’s online healthcare administration degree program develops leaders in the field. This four-year bachelor’s in healthcare administration program develops managerial skills and healthcare industry expertise from a Christian worldview. Degree candidates begin the upper-division program after completing general education, natural sciences, and theological prerequisites. Within the 36 credit core, students explore topics like care delivery systems, the role of spirituality and ethics, healthcare human resources, and fiscal management. The program concludes with a capstone project. CCU delivers online courses in five-week sessions that begin every five to seven weeks. Aspiring leaders in the healthcare industry who lack a baccalaureate degree can earn a healthcare administration degree online at Immaculata. The private Catholic college’s online bachelor’s in healthcare management degree completion program exchanges original research for more common practical experience requirements. Distance learners with an associate degree or its equivalent examine U.S. healthcare delivery systems and the business functions that drive them. Course topics include organizational theory, healthcare leadership development, and socio-legal aspects of the industry. Students also analyze existing business research, formulate proposals, and design a hypothetical research project. Immaculata has a generous transfer policy, accepting up to 72 credits from other accredited schools. With an emphasis on the role of technology in the healthcare industry, Graceland’s online healthcare administration degree program equips graduates with the skills and knowledge required of organizational managers. The private Christian college’s bachelor’s in healthcare management program is a four-year baccalaureate program. Within the 30 credit core curriculum, students master the leadership skills they’ll need to succeed in the healthcare industry. Courses explore informatics, quality assurance, human resources, and healthcare finance. Distance learners complete an on-site internship at an approved healthcare facility. Graceland has an extremely generous transfer policy; there is no cap on allowable transfer credits, and eligible students may receive prior learning experience credit. This private Christian college’s online healthcare administration degree completion program offers an innovative program on an accelerated timeline. Distance learners with 60 previously earned college credits and program prerequisites can earn the bachelor’s in health administration in 15 months. The program’s 37 credit core curriculum is delivered in a modular format where students assimilate their work experiences with academic content. In addition to online coursework, students complete an applied research project in an approved healthcare organization. Online courses vary in length, but are between five to eight weeks long. Distance learners interested in earning graduate degrees may qualify for Roberts Wesleyan’s dual degree program, enabling them to also earn the MHA in 29 months. Saint Leo University provides aspiring healthcare industry leaders a Christian liberal arts education. The private Catholic college offers a four-year bachelor’s in healthcare management degree program that can be completed entirely online. Within the 24 credit program core, students gain the skills and knowledge required for administrative managers in the industry. Course topics include quality assessment and improvement, strategic planning and policy management, and healthcare management. Distance learners conduct a one-semester on-site internship at an approved healthcare organization; currently employed students may be eligible for internship waivers. Saint Leo’s program is accredited by the International Assembly for Collegiate Business Education. Distance learners at Saint Leo benefit from extensive support services including peer mentoring, online business associations, and career services. Students seeking an online healthcare administration degree should evaluate several factors among these programs. This includes: available courses, whether it’s possible to retain full-time employment while pursuing the degree, the support afforded to online students, and career and internship opportunities provided by the school. A bachelor’s in healthcare administration prepares you for a variety of careers. If you are interested in a specific career path, check with your prospective school to ensure it offers relevant degree concentrations. Employers may be looking for applicants who have completed certain courses in their degree, so pay close attention to the course lists in each of these healthcare administration online degree programs. IS IT POSSIBLE TO WORK WHILE I COMPLETE THIS PROGRAM? Many students must work full-time while attending college full-time, and some may have irregular work hours which prohibit them from taking courses at specific times. Many online programs provide the flexibility to complete coursework and exams at a time and pace that best suits the busy lives of students. Working students should consider programs which deliver content asynchronously, and verify whether class attendance may interfere with their professional commitments. HOW DOES THIS PROGRAM SUPPORT ONLINE STUDENTS? Students earning their online health administration degree often have needs different from those of traditional students on-campus. Some balance family obligations with their online coursework, while others need to work full-time. Prospective students should identify whether their school of interest has after-hours online counseling, tutoring, mentoring, and other support services. Some schools may even offer online students opportunities to engage with their on-campus counterparts to promote an inclusive social learning environment. WHAT CAREER AND INTERNSHIP OPPORTUNITIES DOES THIS SCHOOL PROVIDE? Job applicants with an online healthcare administration degree are desirable to many employers, but some positions require internship experience to enter in the industry. Select degree programs offer opportunities for student placement in clinical or research environments. Students should consider whether a school’s program includes work-study offerings that affords industry experience prior to graduation. Schools may also partner with employers in the field to facilitate placement for their graduates. Graduates from a healthcare administration online degree program have a wealth of lucrative career opportunities available to them in an exciting and rapidly expanding field. There is a range of specializations for job seekers to find stimulating careers that meet their financial needs, as well as provide a sense of personal fulfillment. This degree enables graduates to work in the technological, informatics-related side of the industry, or more closely with patients in clinical or research settings. Administrative medical assistants manage the paperwork of a medical office, clinic, or other facility. They confirm insurance coverage and process patient billing. Their duties include booking appointments and taking patient histories. Administrative medical assistants may also perform file maintenance and conduct correspondence. All non-clinical procedures are under the purview of an administrative medical assistant. Medical and health services managers -- also called healthcare administrators -- are plan, coordinate, and direct the health and medical services of a particular facility, or department within a facility. This may include healthcare clinics, hospitals, or other medical practices. Medical and health services managers are generally in charge of ensuring their facilities keep abreast of and adhere to developing laws, regulations, and technological advancements in the field. Laboratory managers run the administrative aspects of medical laboratories. They perform billing, maintain the inventory of testing supplies, make staffing decisions, and oversee the reporting of test results to public health departments. Laboratory managers also implement quality control measures with supplies and equipment. Nursing home administrators supervise the administrative and clinical procedures in a nursing home or similar facility. This includes managing staff and other personnel, budgeting and other financial concerns, administering medical care, maintaining supplies and facilities, and coordinating with partner organizations. Hospital administrators supervise the day-to-day operations of a hospital or a department within a hospital or medical facility. They ensure efficiency and a high standard of medical care. They oversee the staff, including hiring, and scheduling shifts. They also manage budgets and contract with medical equipment and pharmaceutical suppliers. The health care administration industry is rapidly expanding, and students with a degree in this field can take advantage of a high demand for skilled employees. Salaries vary by position, degree of responsibility, geographic location, and level of experience. However, a rapidly aging population will have higher need for medical care, and current employment levels are insufficient to meet this growing need. The influx of newly insured patients into the healthcare system will create additional demand for administrative services. Like most other careers, compensation in healthcare administration increases commensurate with experience. A recent graduate in an entry-level position will not earn as much as an employee who has multiple years of training and experience in the field. A seasoned healthcare administrator with developed expertise in the job and who can manage the frequent contingencies that arise will be highly valued by employers. To determine the best online bachelor's in healthcare administration programs, we looked at the most important factors prospective students, mainly common predictors of future success and a school’s commitment to online programs. This boils down to admissions rate, student loan default rate, retention rate, graduation rate, and the percent of students enrolled in online classes. All data points are taken from information provided by colleges and universities to the National Center for Education Statistics. Each factor is weighted evenly in order to give an objective view and determine the 25 best bachelor's in healthcare administration programs. To calculate our rankings, we looked at a school’s ranking when organized by a single factor, and then averaged each category’s ranking to find an overall score: Admissions Rate (20%) + Default Rate (20%) + Retention Rate (20%) + Graduation Rate (20%) + Percent of Students Enrolled in Online Classes (20%) = Final score.